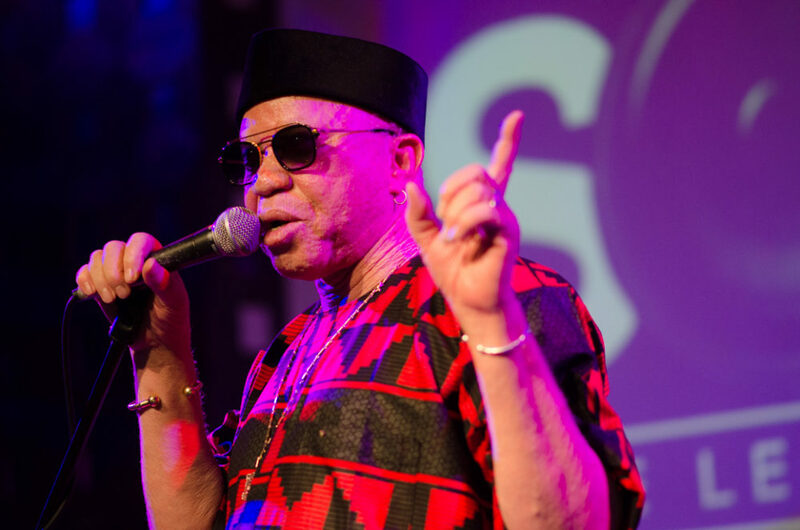 Salif Keita made a quick swing through New York in the fall of 2017, playing two exuberant shows at SOB’s. 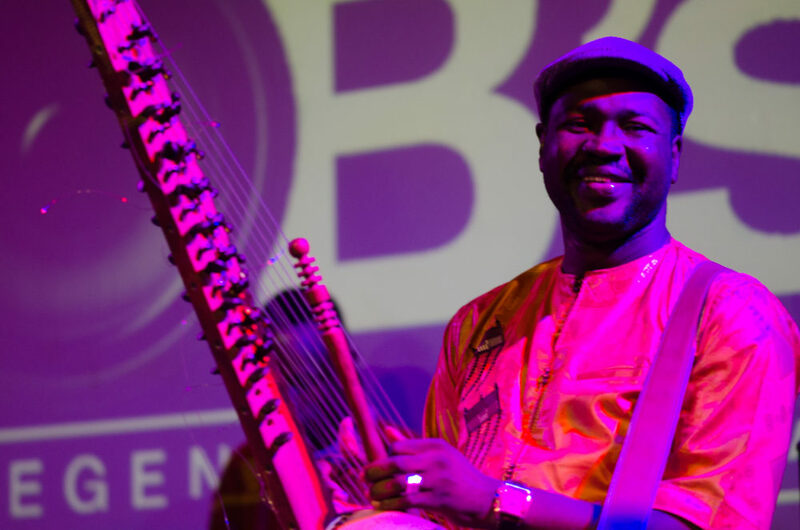 It wasn’t a tour as such, just a chance visit by the Malian superstar on his way back from the Chicago World Music Festival. 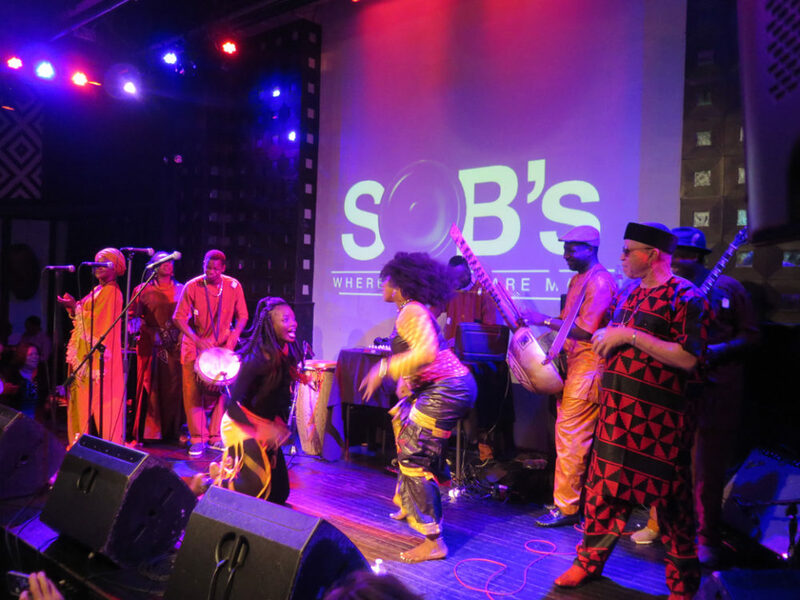 Afropop’s Banning Eyre took the opportunity to speak with Salif backstage at SOB’s before the first show there. Here’s their conversation. 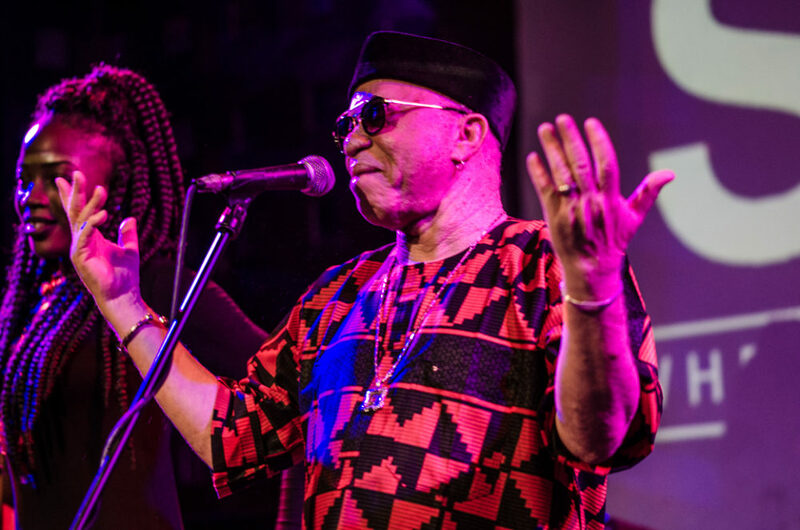 Salif Keita: Banning, I'm very happy to see you again. It's a great pleasure. Banning Eyre: Me too. And here at SOB’s, a piece of history. How many times have you played here over the years? At least four times. It goes way back. And you’re right. There's a lot of history here. The last time we were together was at Town Hall here in New York. And you spoke about plans to spend time in the U.S., in Philadelphia, and check out opportunities with musicians here. What's the update on that? Well, the idea changed. For the moment, I'm going to wait a little on that. In my mind, I still intend to do that. What's important is the music. I want to mix American music with African music. I want to make something that will appeal to everyone. But it's hard to do when you're too far from here. I've been working with musicians here, but to prepare everything, and to get them to understand everything you want to do, it's not easy. I have to take some time. But I do hope I will get to that. So now you're spending most of your time in Bamako. 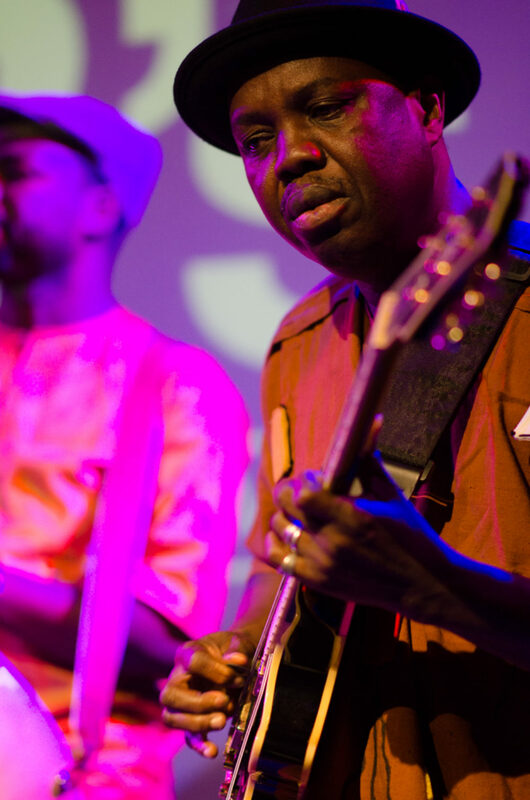 In Bamako, yes, and in Europe, for tours. So what's it like in Bamako now? How's the ambience, and the situation? To be honest with you, no one really knows what's happening in Bamako. Because now, people are afraid. You know as well as I do; you are little bit Malian yourself. You know what goes on there. The future of Mali is tourism, but with these recent assassination attempts, everyone is afraid. People are afraid even to go out to a restaurant, or to take the kids out for a walk. This atmosphere of fear is destroying our politics. At the same time, people are trying to avoid this new way of spreading religion. What is happening now distorts the religion. I hope it will be O.K., but we need to change. There has to be change, change from this thoughtlessness. But the good thing is that the youth have understood that if they don't stand up, the country will be ruined. It's already happening. A new mentality is starting to rise in Mali. Yes, the youth. That's so important. Of course. They are the future. Exactly. And they know that if they don't stand up, we're going to leave them a ruined country. Now we see people on social media insulting religious sects. That never happened before. These sects are being insulted everywhere. We are struggling against them, because it is they who have made the country fall into the gutter. Who exactly is doing that? O.K. As I understand it, after the events of 2012 and 2013, the power of these religious leaders grew a lot. People had more faith in them than they did in politicians. Yes, more than in politicians. But now it's both of them. People don't have faith in the religious leaders or the politicians. Young people want change, real change. And I'm happy to see that. That gives me hope. The youth understand everything, and they are ready to take matters into their own hands. Is this new courage reflected in the music of young artists? 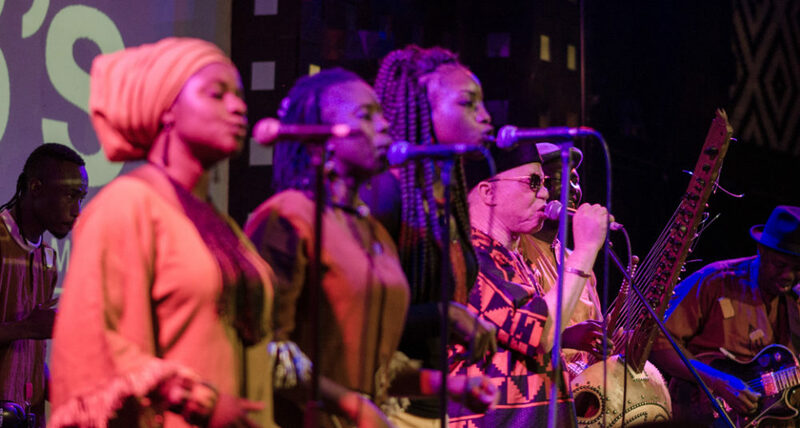 Is there a music of resistance in Mali now? A music with a new vision of the future? Young musicians have begun to make critique, especially the rappers. They have no pity, no retreat, no fear. They attack the politicians. And they attack the religious leaders. I am very happy to see that. Truly. This is something I never thought I would see in Mali. But now, it's happening. You're talking about artists like Master Soumi. Master Soumi says everything. And there are others too who say everything. These musicians are waking up. But you know what happens in Africa. Even if you are a not good leader, if you have money and give it out, people will vote for you, and you will get into office again. That's what we’re afraid of. It shouldn't be like that. But now, as I say, the youth are starting to wake up. That is a good sign. Without them, there is no hope. What about the domain of politics? Are there any young leaders coming up that you have confidence in? People are afraid to come forward. But there are people who could. For example, there is a young leader now who is picking up a following, criticizing politicians. He is denouncing everything these politicians are trying to do. He is a Rastaman. His name is Ras Batch, and he says everything, on the television, on social media, on the radio. He has no limits. And he is supported. He is loved. He could fill a stadium of 25,000 people. And he's not a musician. He is not a musician. And he doesn't present himself as a politician either. He's not a politician. That's why he's strong. He speaks freely. So he's like a public intellectual. That's it. And he denounces everything that's going on. He doesn't want to be president, or in politics at all. But he says everything. He's an activist. Last year, in one of our programs about Mali, we reported on the two big religious leaders there, Dicko and Haidara. It seemed at that time that Haidara had been presenting a more moderate version of the religion, but he had switched, and joined the more conservative Dicko. What's the update on that? No, no, no. I think there is a problem between those two, but what happens between them does not interest me. These are criminals. You see people like that, they don't believe in God. They're gangsters. They steal from everybody. They're building houses on the backs of the poor. These are the very people we need to close down. They should be in prison. And there are many of them now, more than 10, maybe 20. And they're all rich. I understand that this religious fervor is also supported, at least indirectly, by musicians. The zigiri men. 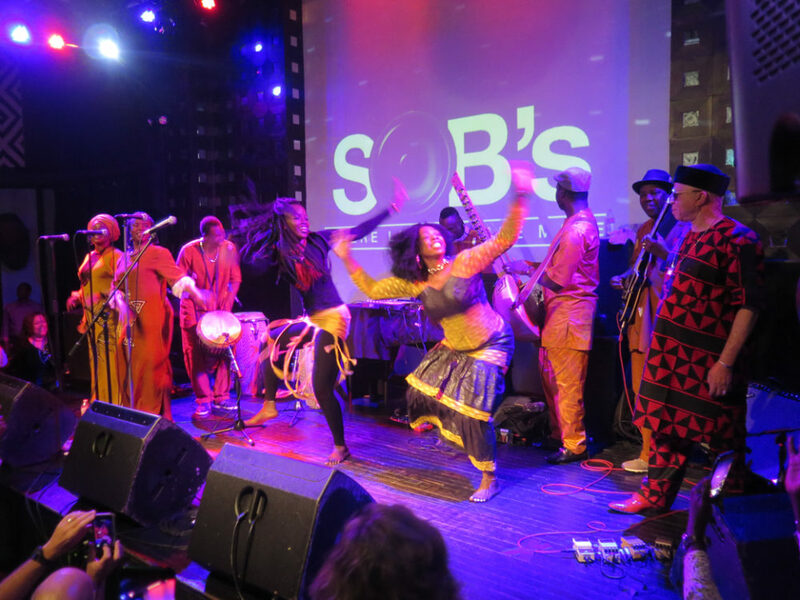 Lucy Duran told us last year that these musicians are taking jobs that griots used to do, weddings and so on. Yes. That’s right. The zigiri! Right now, they are pushing aside the griots, they are distorting the sacred history of Mali. This is really too bad, truly a pity. The griots are disappearing. They're in the process of vanishing. We Malians, we profit from what? From a history that we pay no attention to. The history of Islam is Mecca. It’s not Malian history, the history the griots sing about. Exactly. Are people going to come from Mecca to Mali? No. Those people don't come to Mali, to learn the history of Mali. If people want to know the history of Islam, they can go to Saudi Arabia. But here, we have our own history. Damonzon, Biton Coulibaly, Sunjata, Touramakan… All these people are now being lost. Forgotten. That is really too bad. It's hard to believe. In my experience, those names you just mentioned were heard at every wedding, every naming ceremony. Yes. Every wedding! Mali is so rich in history. And that is the basis of our tourism. But what's happening now is destroying all that. It's such a pity. You have seen a lot of that history. From the beginnings with the Rail Band in the early ‘70s, and the Ambassadors of the Motel. It was politics that made you leave for Côte d'Ivoire in 1978, and then to France. You returned to Mali with all the hope of democracy in the early 1990s. And then you saw the upheavals of 2012-13. So much history! But do you still feel like progress is possible. Does the amount of change you’ve witnessed give you a glimmer of hope that things could improve in the future? Honestly, I want change. A real change. But real change cannot come except from the youth. Look at Macron in France. He has turned people's heads. We need that kind of change. Not the change we have here in America? No. No. That is something else. Me, I can accept many things about him [Trump], except when he says there's no such thing as climate change. That is not true. But as far as Africa goes, you must come back. You have to come back. Because Africans are afraid of what? They are afraid of people like you. Because you have no interest other than the truth. That's it. But the people in power now, if you tell them the truth today, they will kill you tomorrow. How many people have disappeared? Let's talk about your music. I know you've been working on an album. Is it finished yet? It's almost ready. It will come out in 2018. God willing. We've already worked with Angelique [Kidjo]. And I told you the last time we met that we worked with Djelimady [Tounkara]. Yes. I was very glad to hear that. And we are still reaching out to some other Africans. Maybe Youssou. Maybe. Because my idea is to present a kind of resume of my career. Because afterwards, I might want to take a rest. So I'm giving my resume. 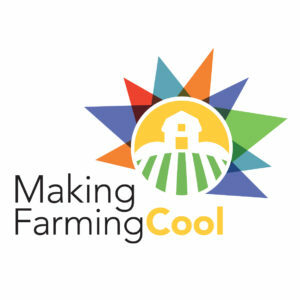 Djelimady: I learned so much, so much from Djelimady. I can't make my resume without him. I was so happy. And he was so happy. We had tears in our eyes in the studio. Really. It reminded us of so many things. And to finish this album, I would like to find some Americans to contribute. But the problem with Americans is they are so expensive. So expensive. $150,000, $200,000. When music gets up there, it's not really music anymore. Yes. Music is the heart. But Salif, I remember almost five years ago you're telling me that you are ready to retire. Yes. I know. Then I went to the studio. But with this record, I think it really will be the end. Right. I am taking my time. I want to make a good goodbye. [Laughs] That's it. Really. So when that record comes out, will you do a big tour? Yes. But I don't want to go everywhere. Maybe just the big, big shows. The most important ones. But to move around like I'm doing now, I don't think so. And you're using some programmation to cut down on the number of musicians. Do you find that your public accepts that? Yes. The public loves that. Because it makes them dance. We are making people dance. 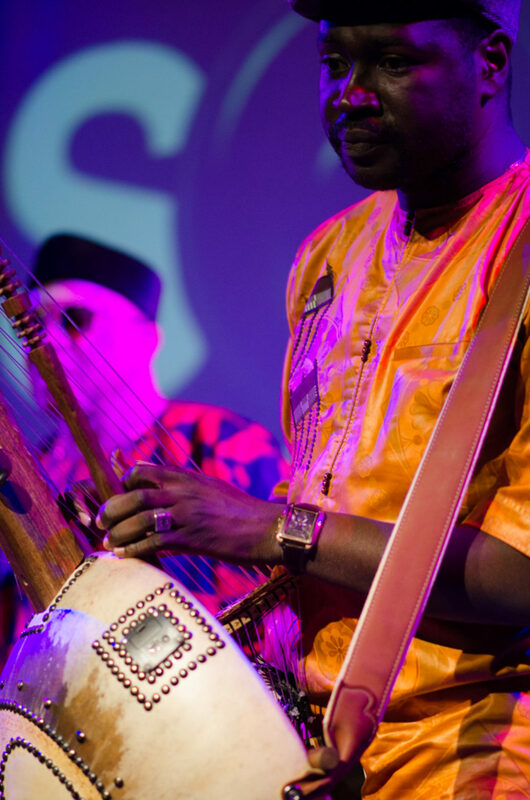 Before we came with the balafon, the kora, the ngoni. That was a more melodic time. But now, on the road, everything is expensive. Transport is expensive; hotels are expensive; food is expensive. If you try to bring everybody on the road, you won't get many contracts. Because people are afraid of the expenses. 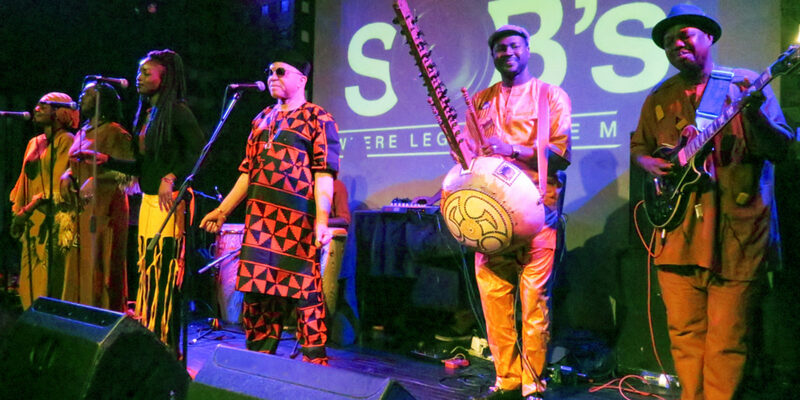 African music is not like it was before. There's not much support anymore. So if you want to tour, you have to make compromises. That's why we bring the machines. But when you bring the machines, you can make everybody dance. I guess we were lucky to have the experiences we did in the 1980s and '90s, with 15, 20 musicians on stage. That was something. Yes. Yes. 20 musicians on stage! Seventeen musicians. Yes. You see? But that's the past. The tickets are expensive. The food is expensive. The hotels are expensive. To pay for all that? There is just not the same support for African music there used to be. We have to move beyond that. You know the great South African musician Johnny Clegg? I know him. He is a friend. I don't know if you've heard this, he is now making his final tour, though for a different reason. He has cancer. He's in remission now, and fit, but his doctors say that won’t last. Then there's no telling. So he's making a farewell tour. I didn't know that. Oh la la. Such a great musician. And such a great person. Oh la la. He’s so important. I didn't know that. Well, I'm sorry to be the one to tell you. But there it is. 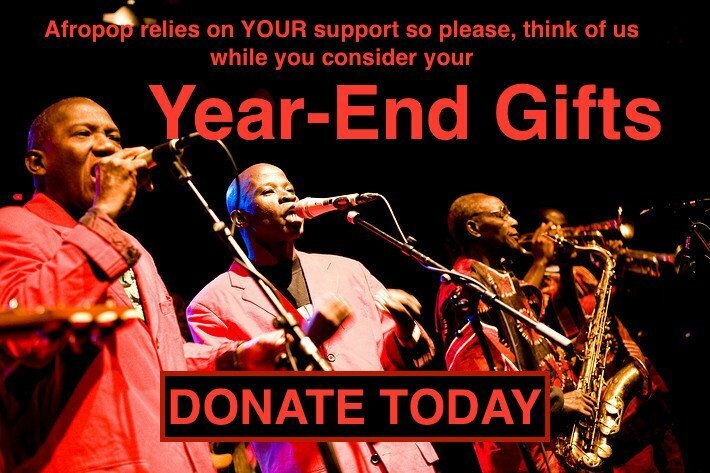 Before we end, let's talk a moment about your foundation in support of albinos. What is the latest on that? That continues. You know that this year they kidnapped two albinos in Mali. They sacrificed them. And they caught someone in the act of kidnapping a third one. That kidnapper is on trial now. But if we don't pay attention, this will continue. There was a marabout sent there searching for albinos. So what happens? They pull up to a young person and say, "Hop on my motorbike. I will take you to buy some new clothes. You will give me your clothes, because my sister went to a marabout and he told her that if she wanted a child, she needed to have the clothes of an albino." So we are warning albinos that if you don't pay attention, you will be in trouble. It is the marabouts who send these people. Everyone is afraid of them. Even the patrons of the president must pass by them. This is why we need support, from many people. People need to speak about this. We need to make them afraid, so that the marabouts will stop taking our children. 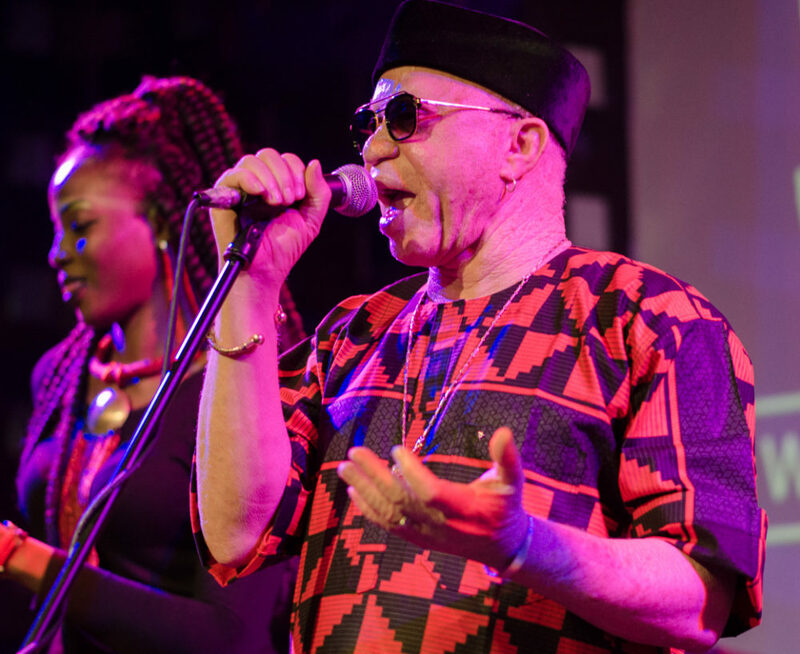 Have you heard about this project of recording songs by albinos in Tanzania? It is done by a producer named Ian Brennan. 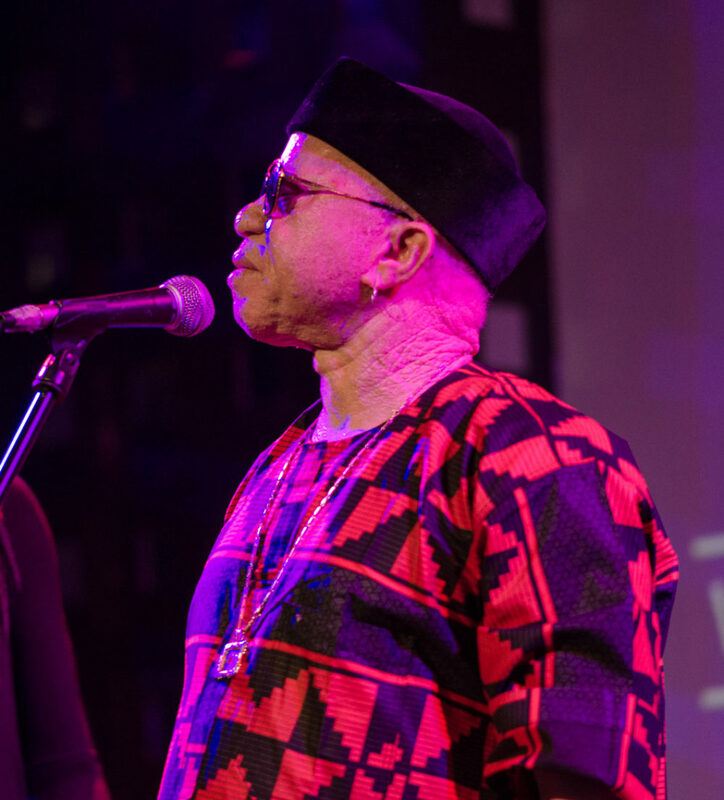 He was nominated for a Grammy for songs recorded in a maximum security prison in Malawi. But his project this year is about albinos in Tanzania. Have you heard about this? No, I have not. That's very interesting. The music is not polished. It's roots. Exactly. But it's very powerful. It comes from the heart. And he called the album White African Power. Yes. One of our people at Afropop did a very interesting interview with producer about this. I will look for that. And you know, speaking of that, I can tell you the name of our new record. It's called Another White. Un Autre Blanc. 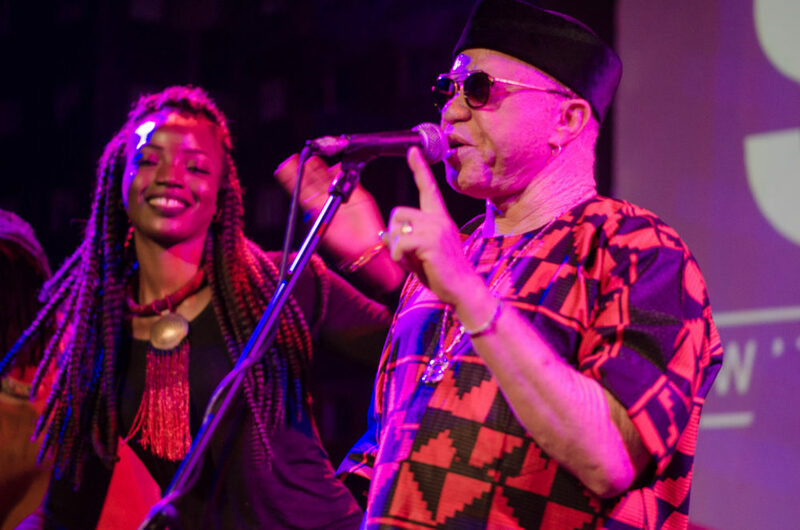 Salif Keita and the New Ambassadors. I can't wait to hear it. Will you play any of those new songs tonight? No. No. No. But in a couple of months, you will hear it. Well, we are lucky to see you on this short visit. And it’s great to speak with you again. Any special words for the listeners of Afropop Worldwide? Yes. I must thank Afropop in terms of the United States. Because without you, we wouldn't be here. 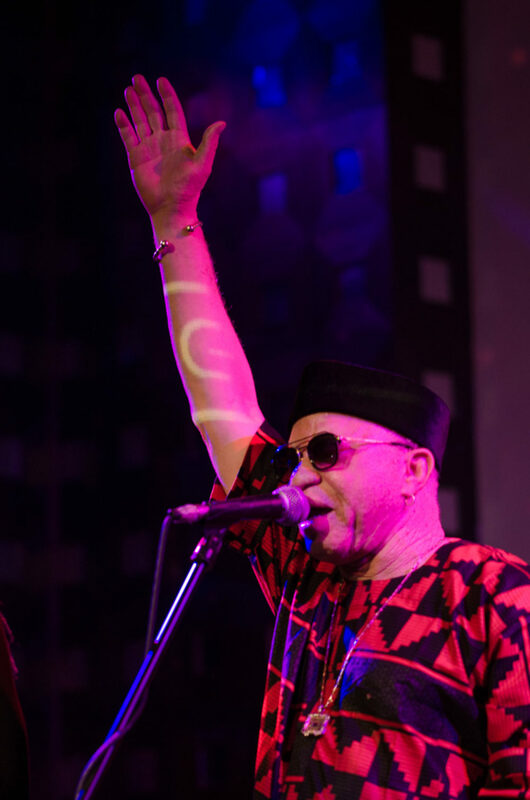 Because all we have done with African music is thanks to Afropop. I count on your support. Thanks to you, we can carry on. You know that next year is our 30th anniversary on the air. Wow. I want to be there. We would love that. Let's stay in touch. No problem. We are together.